Ellen de Bruijne Projects starts this season with recent work by Lara Almarcegui: Mineral Rights, Tveitvangen. The artist looks into the essential, yet scarcely asked, questions about ownership of the ground and the depths beneath it. Ellen de Bruijne Projects starts this season with recent work by Lara Almarcegui: Mineral Rights, Tveitvangen. The artist looks into the essential, yet scarcely asked, questions about ownership of the ground and the depths beneath it. Mineral Rights are regulated differently from country to country and it is customarily impossible for a private individual to acquire them. Lara Almarcegui recently gained mineral rights in Norway, in Tveitvangen, not far from Oslo, for an area of one square kilometer. 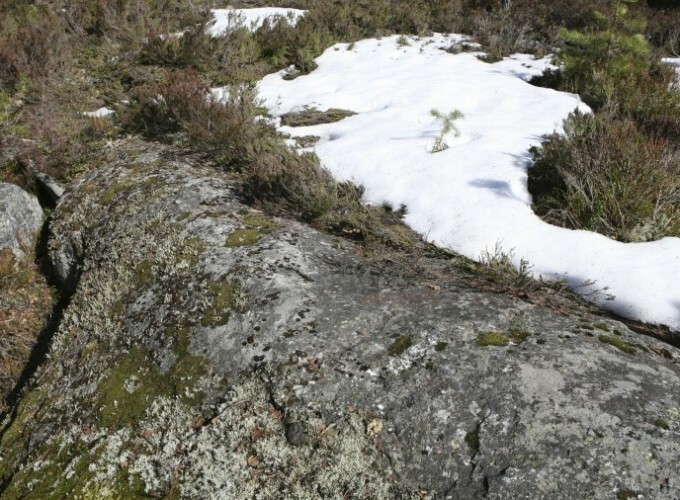 In the projection that she shows in the gallery, the viewer is taken into a landscape of information about stone, leftover snow, patches of forest, grass and bushes. It is an area known for the occurrence of iron. Iron is one of the most important materials in the building business; hardly a contemporary building can be made without it. Lara Almarcegui will not excavate the iron, but with her project and the rights that she now holds she draws our gaze to one of the key construction materials and the sometimes remarkable or even questionable nature of how it is held and owned. With her works she does not merely create commentary, but she creates a sensibility of our being, acting and dealing with the world. (With extracts from the publication Lara Almarcegui, ed. Ines Goldbach, Christoph Merian Verlag, publication 13 June 2015.) ‘Mineral Rights’ is produced by Leuphana Arts Program, Lüneburg, with support by Ministry for Culture of Lower Saxony;O&O Subsidy, CBK, Rotterdam; OCA Office for Contemporary Art Oslo and Ultraperipheric, TAAK, Amsterdam.